The one most important thing about this car is that it runs very, very well for years even not needing to refill the liquids often. My car is over 10 years old and It's just recently that It's needed to be looked over by a mechanic for any type of repairs. I like that my vehicle is small, compact and I like the color of it, gray. I like that it is usually reliable and very inexpensive to repair. I like the way it drives and It's easy to get a space because of Its size. I also like the alloy wheels. I don't like that my vehicle doesn't have cruise control for traveling. I don't like that only the front windows roll down automatically and that the back windows have to be rolled down manually. I don't like that I've had to have 3 new windshields put in for cracks because windshields tend to get cracked easily in North Carolina and I have a small crack in the one it has on now. My complaint is that only around 48,000 miles this particular model tends to start getting all types of needed repairs. 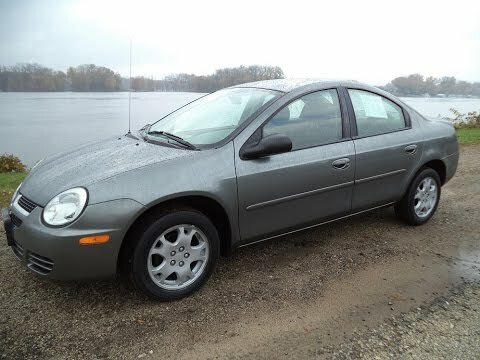 A reliable and dependable Dodge neon. A neon is a comfortable car with seats that can be adjusted to sit up or back. The car is very reliable provided you stick with the maintenance plan that consist of changing the engine oil and filter. The car has an am/pm stereo with a CD player. You can add auxiliary cables and USB to play music from a cell phone or mp3 player. The car runs smooth like a sewing machine. I have had to change the timing belt on the car and had take the head to the machine shop. Motor mounts are the worst! The car is very maneuverable and is great for a first time driver. Due to the size of the car, it can fit in compact spaces. It does not come with a lot of the modern day features. It started having major issues after 8 years of having it. One of the biggest issues with the car is the motor mounts. Due to the fact that there is only a large mount on top and two small torque mounts on the bottom, they are easily breakable and have caused many issues.